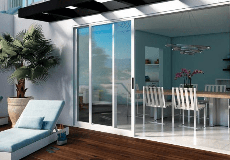 Arizona Specialty Window and Glass Products is operated by Ernesti Enterprises Incorporated, a local, family owned Arizona Corporation located in Mesa, AZ. Our company began in 1985, servicing custom & semi-custom home builders, along with providing home owners with any window replacements, shower installation or upgrade, mirrors, or any other glass related needs. Our vendors offer the best quality in the market for energy efficiency including Low-e energy packages and high Energy Star ratings. We offer the best durability and warrranties in the industry. Our staff has over 35 years of experience in the Arizona construction fields and takes pride in providing a superior quality product and prompt courteous service. "Your complete satisfaction is our goal" - We back this statement with thousands of satisfied customers, over 15,000 glass products installed, and an A+ rating with the BBB. Arizona Specialty is proud to be a long-standing Milgard Certified Dealer for new or replacement windows and doors. Arizona Specialty Window and Glass Products is rated 4.6 out of 5 by 15. Rated 5 out of 5 by Adam424 from Excellent service The service was very excellent and I would highly recoemmend them to any friends or family. Rated 5 out of 5 by Sam12 from Excellent Quality Just had my windows installed and they look great! Can't wait to tell my parents when they move! Rated 4 out of 5 by Slayer from Above and Beyond Had my windows installed over the weekend and in quite happy with how they where installed. The process of removing the old units, replacing with new and then sealing them in. The crew worked fast and left my house clean when they left. I am pleased with the final product. Rated 5 out of 5 by Jackie0226 from Thise Dealer is outstanding would Recommend to anyone! My Milgard windows were just installed over the weekend and they turned out just as planned. Building a new home is scary with all the decisions that are needed to be made. I can easily say that the sales team and the installers made my decision of windows easy. They look beautiful. Arizona Specialty ROCKS!!!!! !